To be notified when new classes are added be sure to sign up for our mailing list. 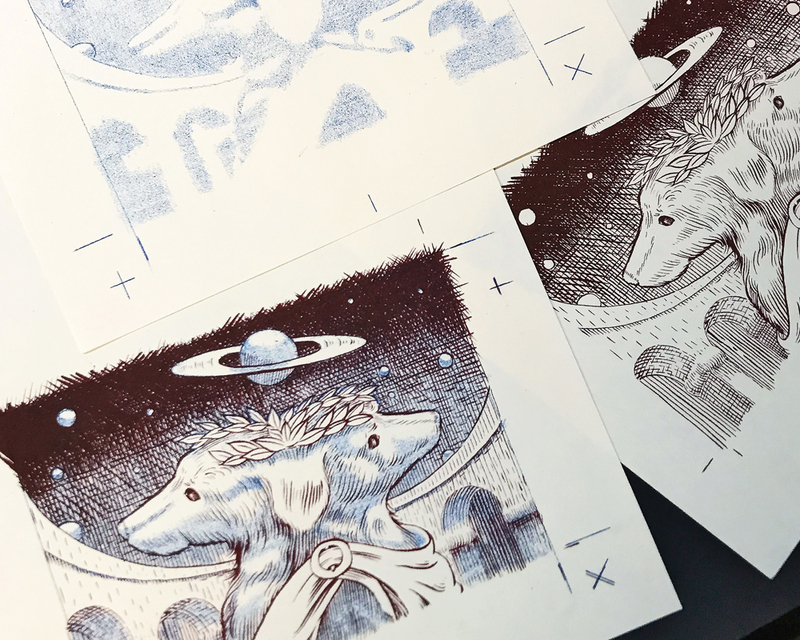 Private letterpress and risograph workshops are available pairs or groups and can be custom fit to your needs. Think birthday party, creative idea generating hangout and/or the best office team building exercise ever. Private individual lessons are also available. Private lessons are perfect if you have a specific project to print and an approaching deadline. We will walk through every step from ordering and cutting paper to setting type and using our presses. Lessons are scheduled weekly on Fridays and Saturdays. For more information or to book a private lesson email Sarah at info@stripedlight.com. No experience in letterpress or design? No problem. Our classes offer a range of themes centered around getting you comfortable setting type, cutting wood and linoleum blocks and operating a variety of printing presses in the shop. 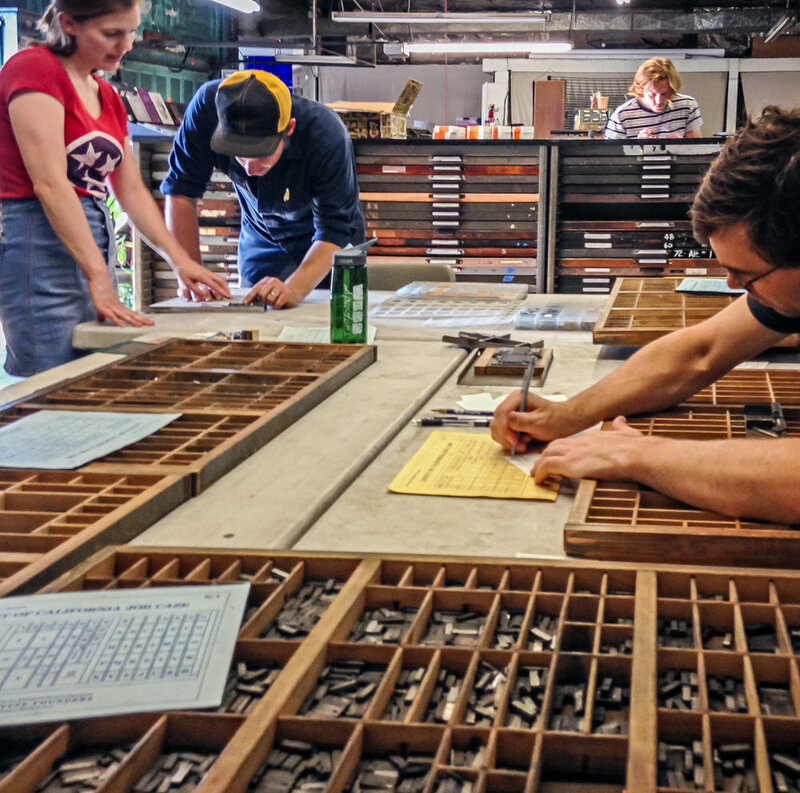 By taking one of our many Typesetting or Letterpress Basics Courses and a Press Certification Course you become certified to rent press time at 15 dollars an hour. There will always be someone on hand should you have any questions while working. All necessary materials are provided for our courses unless stated otherwise in the course description. In the case of a cancellation we cannot issue refunds. However, the registration balance can be used in a future workshop.